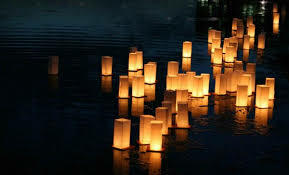 The Palmer Lake Lantern Festival is Saturday, November 24. Watch the star being lit while you release paper lanterns onto Palmer Lake. Your $20 ticket includes a lantern, flashlight and marker to write anything you desire onto your lantern before releasing it onto the water. All proceeds benefit the Pedestrian Bridge in Palmer Lake as well as Palmer Lake parks improvements. Tickets can be purchased at eventbrite.com.